Pet Society Dream | One stop to Momiji's great adventures. Pet Society Dream One stop to Momiji's great adventures. I got totally mesmerized by next week’s clothes and paintings and I was sure I would make a room out of those. While the Mystery painting caught most of my attention too. Fifa World Cup is having it’s finals next week and there’s a picture I would like to share with all of you, drawn by a good friend of mine on the forum, Chili Candy. Next week’s new mb item includes, BBQ hot sauce, Independence day party hat, Pink party balloons and Pink mini fridge. 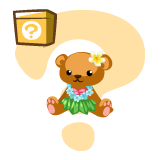 As for the new weekly treasure hunt item, popcorn machine, Mikan digged 2 and sold both in the forum, she didn’t know what to do with them. After reading the spoilers for next with items, just like PSC, I totally fell in love with the Tropical sunset wallpaper. I want the Underwater Grotto alot, it leads to a secret aquarium, a room where you can keep all of your fish, as a fan of fishing, I would really love that. It costs 20pfc though, and I wanted the turtle as well. I am in quite a delima as I don’t know whether to have the bundle as it will be so much cheaper compared to the price of buying the turtle and the grotto as it includes other items as well! It’s so cute, includes costumes, ears, tail and stuff, so why is it a bummer you ask? Well it costs 5pfc each. Yes It’s random what you get. I never did like random stuff when you’re spending real life money on it.